In the series premiere of this gripping Australian drama on M-Net City Movies, Joe Marin discovers his seven-year-old son Sam has been abducted from school. 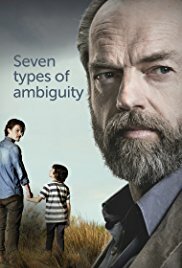 The six-part series stars Hugo Weaving (Lord of The Rings) and is based on Seven Types of Ambiguity, a 2003 novel by Australian writer Elliot Perlman. Season 1 Joe airs on M-Net City Movies (channel 115) on March 22 at 20h00.